Over our June long weekend we took the kids to Apollo Bay located along the iconic Great Ocean Road about 2.5 hours from Melbourne. The Otway Fly Treetop Adventure is 40kms from Apollo Bay and that took about 40mins because its a very windy road, so if you’re a person that gets a motion sickness you might struggle a bit! I had a couple of moments! Luckily enough it doesn’t seem to bother my kids. Treetop Walk or Zipline Tour? 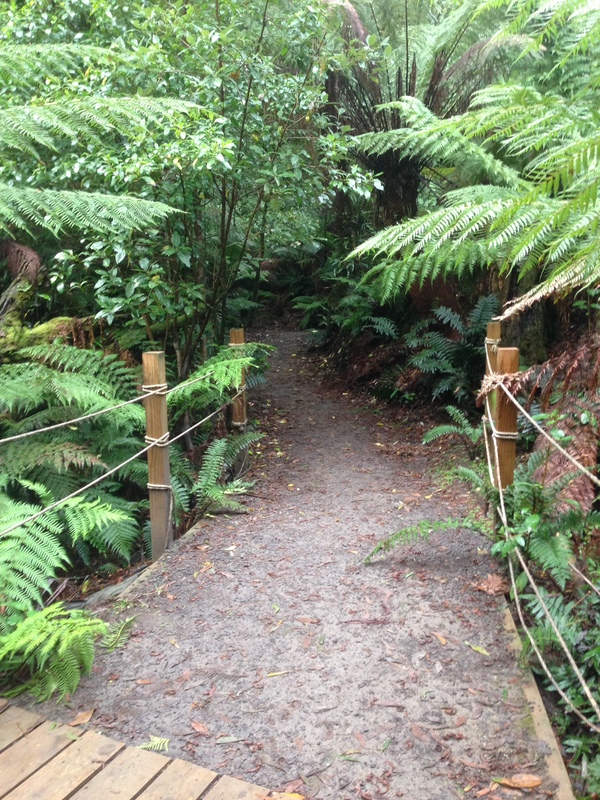 The Otway Fly Treetop Adventure consists of two main activities which are the Treetop Walk and the Zipline Tour. On this occasion we only had time to complete the Treetop Walk. We bought a family ticket for $70 for 2 adults and 2 kids and then an extra kids ticket for $15, so $85 for all 5 of us. The Treetop Walk is around a 2kms long through the rainforest and takes about an hour to complete. There are 600 metres of steel walkways that take you up 30 metres into the canopy to give you the ultimate birds eye view of the beautiful, green rainforest below. The Zipline Tour is fully guided and takes approx. 2.5 hours to complete. The zip lines run between platforms and you are connected to them with safety lines and harnesses. The tour is a mix of zip lines flying through the air at 30 metres above the ground and cable walks. Family tickets are $375 for 2 adults and 2 kids and would cost us another $85 for our 3rd child, a total of $460 for the whole family to participate. That was a little bit out of our budget for a long weekend away but we’d love to go back to have a go. We arrived late as we didn’t realise how far away from Apollo Bay the Otway Fly actually was. During winter the last group allowed through is at 4pm. The lady at the desk told us we had until 5.30pm but at 4.45pm we were rushed through and put on a buggy and driven back to the entrance for 5pm. Apparently we shouldn’t have been told 5.30pm as the park actually closes 5pm. It was a bit disappointing considering it had cost us $85 for 1 hours entertainment. We could have easily spent half a day there as the kids were really enjoying themselves. The scenery is spectacular, green and lush and the forest floor was covered in a carpet of tree ferns that resembled a green rug. The kids were given a lanyard and an activities booklet to mark off pre-planned points around the walkway. At the end of the walk when they returned to the entrance, if they had found all the activities in their booklets, they were awarded a Park Rangers badge. This kept the kids interested and entertained, with a little help from mum and dad also. 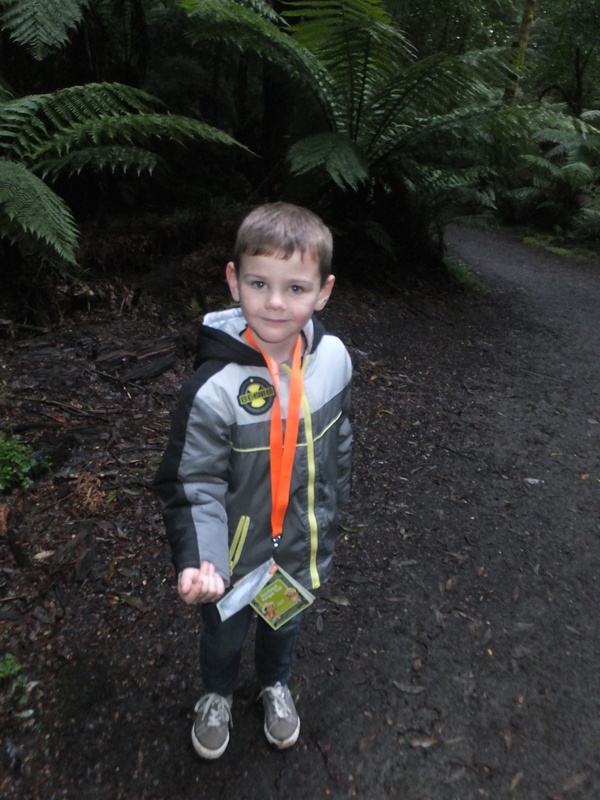 Caelan with activity lanyard, kept them entertained on the walk around. As we got driven back to the entrance, the ranger stopped at each activity to make sure the kids got all their booklet completed so that was really thoughtful of him. I must admit I wasn’t to unhappy being driven back as the walk was lovely on the way down but the walk back was 1km straight back up! It was also starting to get cold as it was just on sunset and if we had have there until 5.30pm it would have been dead dark down there. It was the first weekend of winter even though we were lucky to get sunny days, the cold rolled in early each evening. The steel walkway, 30metres above the ground – real birds eye view. The entrance to the park is a short walk from the car park. There’s a kids playground and a cafe inside for meals or just a coffee stop while the kids have a play. There’s also your stock standard souvenir shop with all the usual souvenirs such as stuffed Australian animals, postcards, souvenir spoons and plenty of other little things the kids love. I bought a postcard for one of the tour guides we met in Malaysia last year, it was his son’s birthday. 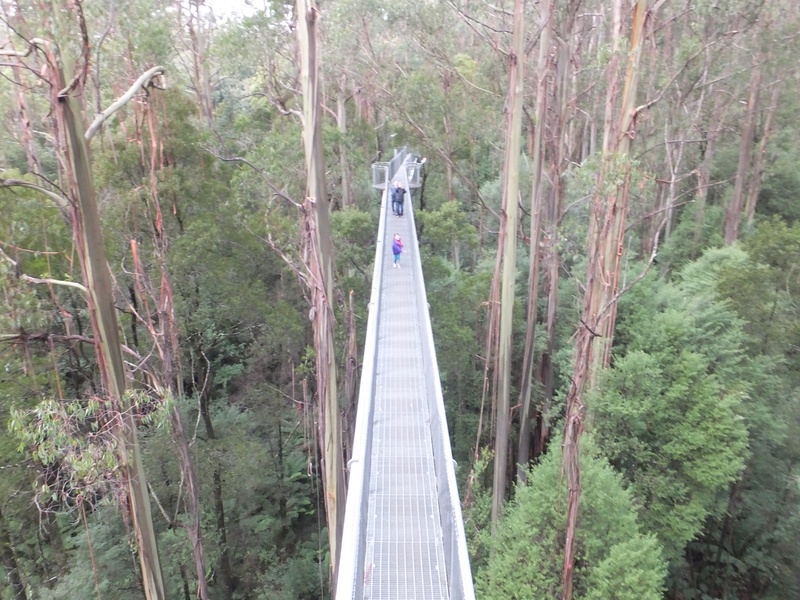 The Otway Fly Tower, awesome view of the tree tops from the top. Definitely! Even though I think the Zipline is totally overpriced, I would love to do it once for the experience. 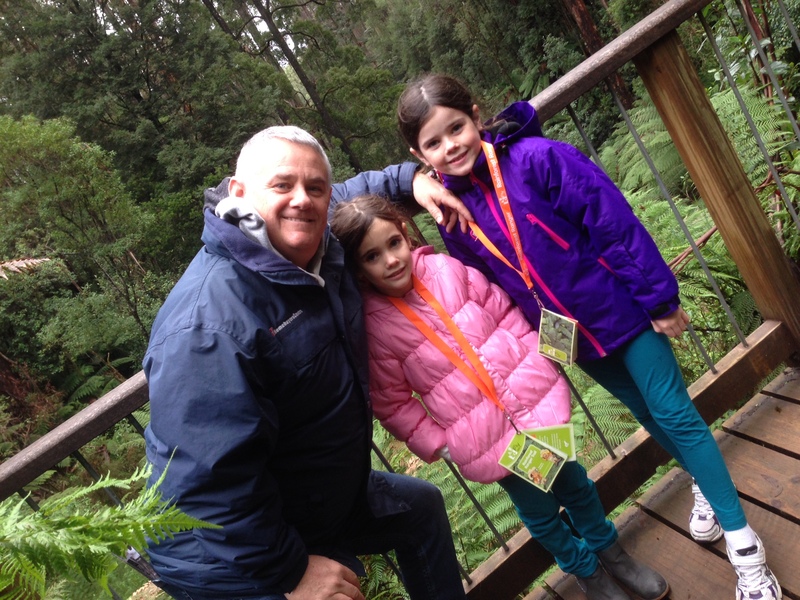 I would do the Treetops walk again but allow plenty more time. The cafe was reasonably priced so a lunch stop would be handy. If you were on a budget, there also plenty of grass area to stop for a picnic. Packing your lunch is always a great way to cut costs when travelling, we often do that. 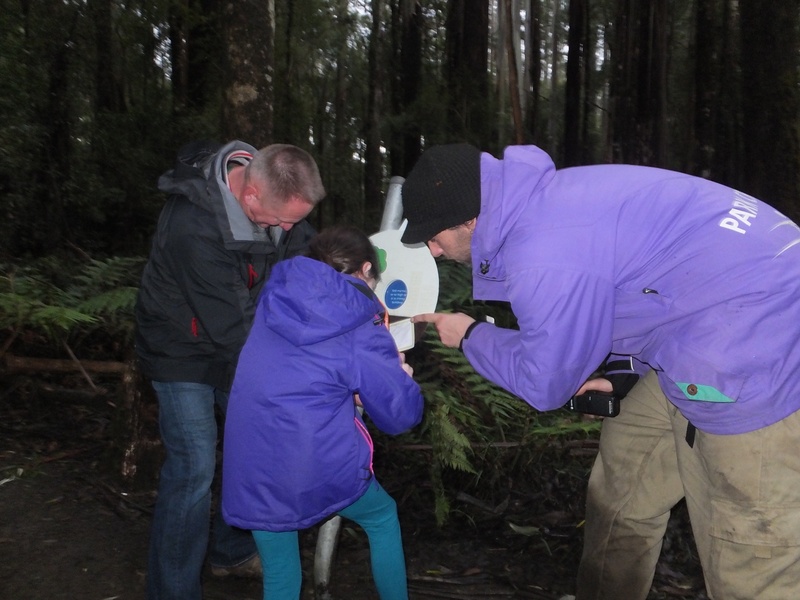 There are a number of other things that you can do in the area with kids including Cape Otway Lighthouse, 12 Apostles and Erskine Falls. Keep an eye out for Cape Otway Koalas down that way too, you’d be unlucky if you didn’t see one. If you’re heading a bit further down to the end of the Great Ocean Road, Port Fairy is a lovely little town and it’s a bit sleeper than the towns along the Great Ocean Road. Definitely a great place to visit if you haven’t already been there. Looks lovely! I’ve always wanted to go here. What a shame about the closing time. That’s a bit annoying. Thanks for sharing! I think the zipline would be a great experience too Sarah, but its just so experience, otherwise we would have put the kids on.We did a similar thing in Sydney before we left for a third of the of the cost.